All data centers are run on power and (hopefully) the security and peace of mind of having a robust UPS and backup power supply in place. This is important because power loss can occur for a variety of reasons but if you have a UPS in place with battery capable of withstanding the necessary power load, your data center does not have to experience major outages that cause downtime. No two data centers are the same and thus every data center has different UPS needs. What works for one will not necessarily be the best choice for the other so it is necessary to analyze all components of a UPS to ensure you have the best backup power supply for your data center. Wet-cell batteries are an older technology than VRLA batteries but offer their own set of advantages over VRLA batteries for certain scenarios. Wet-cell batteries are incredibly reliable but require special installation considerations because they are not “sealed systems” like VRLA batteries. In fact, wet-cell batteries actually need a separate battery room for safety purposes (protection against acid spills). However, if properly and consistently maintained, wet-cell batteries can provide a long lifespan of service – typically between 20-25 years. Even if a wet-cell battery fails it tends to “closed fail” which means that only the one battery that fails, fails. 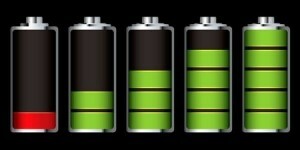 It will not affect the other batteries in the group. While wet-cell batteries offer data centers a long lifespan of service and a considerable amount of reliability, most data centers today use VRLA batteries. VRLA batteries are “valve regulated lead acid” batteries and they carry a higher power density than wet-cell batteries. TechTarget explains the science behind VRLA batteries and how they differ from wet-cell batteries, “VRLAs are the norm in most modern UPS systems for data centers. These batteries use a paste electrolyte in a sealed container, as well as a different charging system that makes them much safer and circumvents special facilities to house them. VRLAs take longer to recharge than wet cell batteries, and the other major tradeoff is the UPS battery life. While flooded lead acid batteries can be expected to last up to 25 years with proper maintenance, VRLA batteries often need replacement after only three to five.” VRLA batteries are able to withstand varying climates better than wet-cell batteries and additionally they tend to recharge more quickly than wet-cell batteries. VRLA batteries offer a number of advantages over wet-cell batteries for modern data centers. Though, it is important to note that the one major drawback of VRLA batteries is that they tend to “open fail” which means that if one fails, the whole string of batteries fail which can lead to major problems. Data centers generate a lot of heat because of the high volume and concentration of electrical components. When batteries are exposed to high heat for a prolonged period of time, it can reduce their lifespan and reliability. Schneider Electric describes the importance of maintaining ideal temperatures for VRLA batteries, “All batteries have a rated capacity which is determined based on specified conditions. The rated capacity of a UPS battery is based on an ambient temperature of 25°C (77°F). Operating the UPS under these conditions will maximize the life of the UPS and result in optimal performance. While a UPS will continue to operate in varying temperatures, it is important to note that this will likely result in diminishing the performance and lifespan of your battery. A general rule to remember is that for every 8.3°C (15°F) above the ambient temperature of 25°C (77°F), the life of the battery will be reduced by 50 percent. Therefore, keeping a UPS at a comfortable temperature is crucial to maximizing UPS life and capabilities.” Some data centers are concerned with implementing VRLA batteries because they fear they might experience “thermal runaway.” Thermal runaway is when the heat generated inside a battery exceeds the rate at which it can be dissipated into the environment which could lead to a catastrophic battery failure. However, thermal runaway is fairly uncommon in VRLA batteries. But, because of the heat-sensitivity of traditional VRLA batteries, using a high heat-tolerant VRLA battery is ideal in a data center application. Heat-tolerant VRLA batteries are specifically designed to survive in high-temperature environments. This reduces costs for data centers in a number of ways. First, because the batteries can not only survive but perform well in a high-heat environment, cooling costs are reduced. Science Direct notes that cooling costs are one of the largest expenses for any data center – it averages approximately 40% of a data center’s total energy consumed! By reducing the degree to which you must cool a room by even a small amount, you can yield significant utility savings. Many data centers are being pushed and feel compelled to improve their energy efficiency and reduce their carbon footprint and this is one simple and effective way to do so. 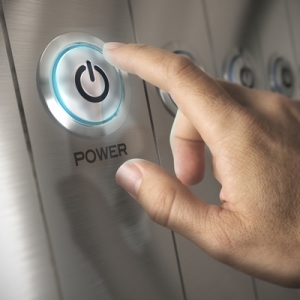 This small change significantly increases your data center’s overall energy efficiency. Further, because the batteries are designed to withstand high heat, they will not wear out or fail as quickly which means you will not have to replace them as often which maximizes your battery investment. Though VRLA batteries tend to fail more often than wet-cell batteries, this can be easily remedied by implementing a consistent and thorough battery monitoring and maintenance procedure. This should be outlined in your data center’s DCIM strategy. All of your data center’s infrastructure must be routinely monitored and maintained and your VRLA battery is certainly no exception. Though a battery manufacturer will estimate an expected lifespan, batteries provide service in the real world where harsh data center conditions can and will factor in so never assume that your VRLA battery will last the full lifespan, even if the guidelines say that they will provide “maintenance free service for 10 years.” This truly cannot be emphasized enough, even though VRLA batteries require less maintenance than wet-cell batteries, monitoring, and maintenance is critical. Though wet-cell battery has its place in the data center industry, most modern data centers can take advantage of improved energy efficiency, easier installation and implementation, and easier maintenance by using VRLA batteries for their UPS applications. Data centers, though important and absolutely necessary for today’s world to operate, consume a huge amount of energy. It is important for every data center, whether large or small, to look for ways to improve energy efficiency and reduce their carbon footprint. Further, because high heat-tolerant VRLA batteries do not have the cooling requirements of other types of batteries, not only will energy efficiency be improved significantly but it will reduce overall utility costs. And, because they are more resistant to high heat, VRLA batteries are unlikely to experience thermal runaway or fail, which extends the life of the battery and your overall investment in your backup power supply. This entry was posted in Back-up Power Industry, computer room maintenance, Data Center Battery, data center cooling, data center equipment, Data Center Infrastructure Management, data center maintenance, DCIM, Facility Maintenance, Mission Critical Industry, Power Management, Uninterruptible Power Supply, UPS Maintenance and tagged Cooling System, Data Center, data center cooling, data center design, data center equipment, data center maintenance, Emergency Power Systems, Mission Critical, Uninterruptible Power Supply, Uninterruptible Power Systems, UPS, UPS Batteries, UPS maintenance, UPS Systems. Bookmark the permalink.